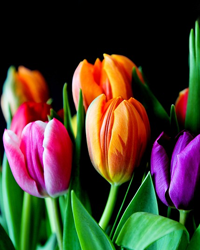 Canton – Hilda Ford Brown, age 95, passed away on Sunday, March 31, 2019 at Silver Bluff Nursing Home. A native and lifelong resident of Haywood County, she was the daughter of the late Jesse and Ethel Clark Ford. She was also preceded in death by her husband, Walter R. Brown who died in 2001 and three brothers, Frank, Troy and Luther Ford; and a sister, Mary Neal Ford. Hilda was the oldest member of North Canton Baptist Church. She enjoyed sewing, and cooking. She dearly loved grandchildren and her church family. She is survived by two daughters, Mary Jane Robinson (Dean) and Janet Brown (Mike Mathews) all of Canton; two sisters, Lola Yarborough of Canton and Betty Walker of Penrose; five grandchildren; 17 great-grandchildren; and 5 great-great grandchildren. Funeral services will be held at 2:00 p.m. on Wednesday, April 3, 2019 at the Canton Chapel of Wells Funeral Home with the Reverend Mark Caldwell officiating. Burial will follow at Bon-A-Venture Cemetery, Old Clyde Road. The family will receive friends from 12:30 to 1:45 p.m. prior to the service. The family wishes to acknowledge the compassionate care extended to Hilda by Silver Bluff and Haywood Lodge.